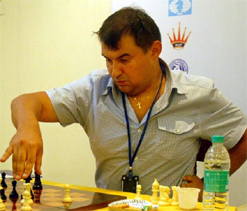 Belarus Grandmaster Aleksej Aleksandrov successfully defended his title by winning the Mumbai Mayor's Cup on Friday. LIC of India co-sponsored the event organised by the Venus Chess Academy. Aleksandrov beat Mark Paragua of Philippines in the last round to finish the tournament with 9.5 points and retain his title along with a prize money of about $6000. 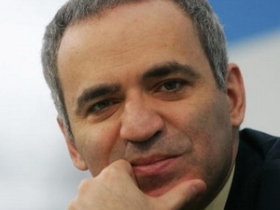 Meanwhile, Kasparov has said, "To clarify the recent news reports, it is true that I think it is essential to do whatever is necessary to remove Kirsan Ilyumzhinov from the International Chess Federation (FIDE). And if that means running for FIDE president myself in 2014, it is possible but not the real priority. What is Important is taking FIDE and Chess back from Ilyumzhinov, who brings disgrace after disgrace to the sport by meeting with murderous dictators while ignoring the opportunities to bring chess INTO education systems around the world. I will post a long article on my thoughts about the future of chess and FIDE after this weekend's 10th anniversary event for the Kasparov Chess Foundation in Bryant Park in New York City. It is from 10am to 2pm on June 16 with a kids' tournament and more. 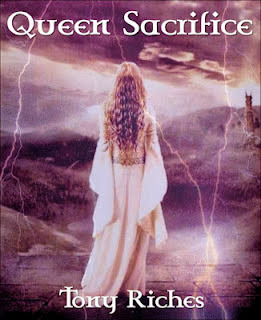 If you can attend I will see you there!" Kasparov also tweeted similarly. 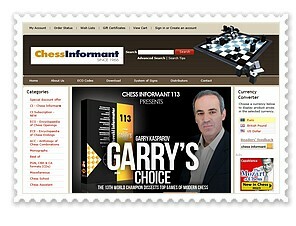 Media Blitz, Corporate Strategy to Make Chess Super-Popular! 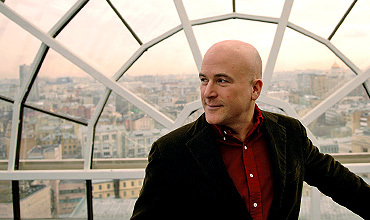 Leading design agency Pentagram has been hired to rebrand the World Chess Championships, after the World Chess Federation (FIDE) accorded the commercial rights to the sport to technology entrepreneur Andrew Paulson. Mr Paulson struck the deal with Kirsan Ilyumzhinov, president of FIDE, to host the championships and provide long-term commercial structure for the game, with an increased prize fund of 5.4 million euros, according to a latest press release. Former World Chess Champion Anatoly Karpov has beaten GM Yasser Seirawan in an exhibition chess match in Saint Louis. 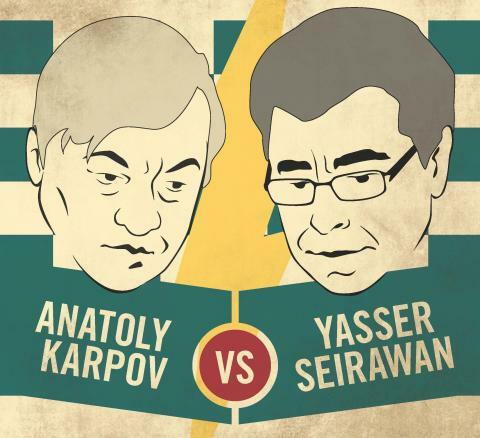 The match concluded with Karpov winning 8-6 (1-1 classical, 1-1 rapid, 6-4 blitz-Karpov). A live press conference broadcast around the world was held after the chess match. During the press conference, Macauley Petersen relayed a question posted by Daaim Shabazz of The Chess Drum - the most definite chess website/blog on Black chess community (12:50 in video). Karpov was asked whether he had any additional political ambitions in FIDE after having lost the 2010 elections. Karpov said FIDE was “wrongly led” and suggested that the current leadership be removed. A statement on the official website of the Bazna Kings Chess Tournament reads: Kings Tournament 6th Edition - Medias, Romania elo average 2767 "We are very sorry to announce that the 6th edition of the Kings Tournament is postponed. The global financial crisis and the instable political situation in Romania made it impossible to start the tournament on the initially announced dates." Chess blitz match between Garry Kasparov and Nigel Short took place in October 2011 in Leuven, Belgium. The blitz chess match celebrated the 5th jubilee edition of YourNextMove, a Belgian initiative to promote chess and support children between 6 and 12 years old. First Garry dominated, then Nigel fired back, and the decision came in the final game when Garry Kasparov beat Nigel Short 4.5-3.5. Kasparov and Short faced each other 18 years after their controversial battle for the world championship in London. In the early 90s they founded the Professional Chess Association (PCA), a rival organisation to FIDE which existed between 1993 and 1996. Nigel Short won the Candidates tournament and became Kasparov's challenger for the PCA World Championship. The match took place in the Savoy Theatre in London, under the sponsorship of The Times. 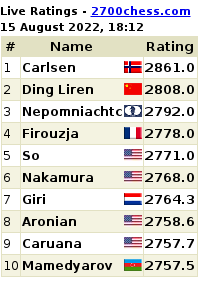 Kasparov won 12.5-7.5 and became PCA World Chess Champion.